If you have relentless bad pain — whether it’s from arthritis of the spine, a herniated disc, or another problem — you know that medication can help. But when OTC pain relievers aren’t cutting it, the next step is often to turn to a prescription medication, which frequently means using an opioid. Opioid pain medication can be very effective, but there are also serious side effects. One of the biggest concerns is addiction, which can lead to deadly overdoses. While opioids are sometimes necessary and there are ways to use them safely, most experts believe that these drugs are overused. The Centers for Disease Control and Prevention (CDC) says that people ought to try other treatments — including non-drug remedies — for chronic pain first, but that doesn’t always happen. Here’s one reason: When it comes to drug-free treatments like acupuncture and cognitive behavioral therapy, health insurance companies may be getting in the way. 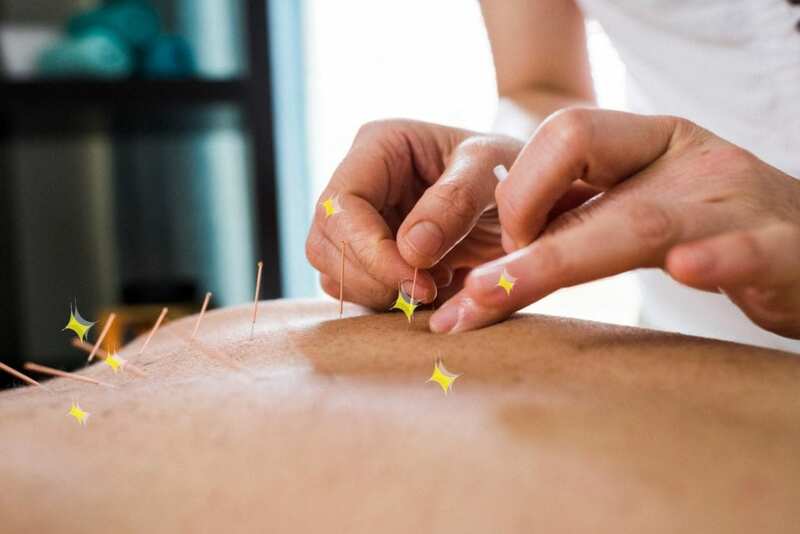 According to a new analysis published in the journal JAMA Network Open, both private health insurance and government-run options (Medicaid and Medicare) rarely cover acupuncture and psychological interventions for low back pain, despite scientific evidence that these are effective approaches. For example, other research has found that acupuncture could cut your back pain in half, and that just eight weeks of weekly cognitive behavioral therapy sessions can substantially improve back pain and mobility for at least six months. These type of non-drug approaches are also low risk, so there’s little danger in trying them. But if your health insurance doesn’t cover them, your options are limited: You can either pay out of pocket (which many people can’t afford to do) or stick with the treatments (like prescription medication) that your insurance will pay for. The JAMA study, which looked at 45 different health plans, did find that some non-drug approaches were usually covered. Most plans covered physical therapy, occupational therapy, and chiropractic care. Some insurance plans also covered transcutaneous electrical nerve stimulation. Still, there tended to be a catch: While insurance usually covered plenty of prescription medication, coverage for non-drug remedies like physical therapy was limited. Coverage for physical therapy, for example, was usually limited to 15 to 30 visits per year, and most plans required a referral from a primary care physician. These restrictions could make it more difficult for someone who might benefit from physical therapy to access it (or to attend an appropriate number of sessions). In other words, insurance companies are looking for more proof that specific non-drug treatments really work and can save money in the long-run before they’ll covering them or expand their coverage of them.